This is the view from the left side of the train room in the basement. Click on the picture to view panorama with flash player. 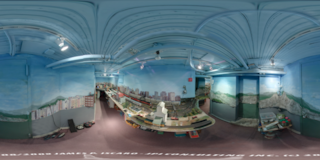 Click here to view the panorama in Quicktime. This is the view from the right side of the train room in the basement. Click on the picture to view panorama with flash player. Click here to view the panorama in Quicktime. This is the view of the city protion of the trainworld. Click on the picture to view panorama with flash player. 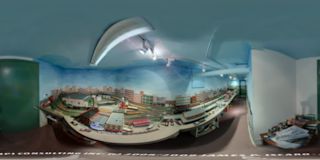 Click here to view the panorama in Quicktime. This is the view from the back of the city portion. Click on the picture to view panorama with flash player. 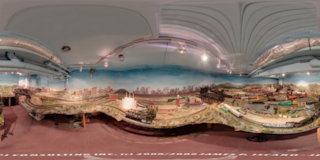 Click here to view the panorama in Quicktime.